The 1800 Power Curve performs like a gas unit without the maintenance. Just plug in and throw snow up to 30 feet. 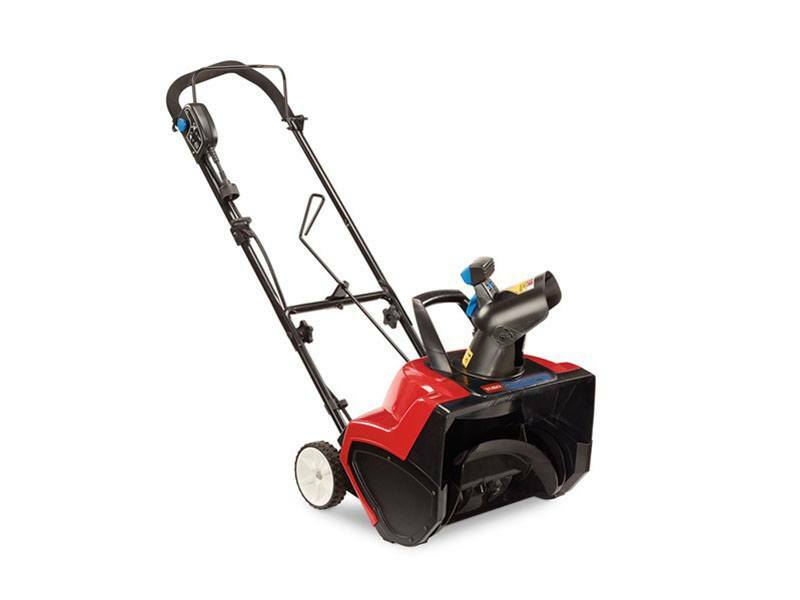 The innovative Power Curve technology moves more snow in less time and virtually eliminates clogging and cleans all the way down to the pavement. It has the highest power to width ratio in its class* (*as of 2/2012). Its ergonomic handle design allows for comfort and ease of use. The Zip Deflector™ control lets you throw snow high, low or in-between and the positive-locking ratchet deflector adjusts in less than a second with just a touch of your hand. It has a Cord Lock System to prevent cord disconnects. Use the lift handle to easily transport the unit from patios, decks, and pathways. EASY-TO-USE CONTROLS: Intuitive operation with either hand. LARGE 6 IN. (15.2 CM) WHEELS: Large 6-inch wheels increase maneuverability. Ideal for sidewalks and walkways, driveways that can park up to four cars and 2-6" (5-15 cm) of snow at a time. 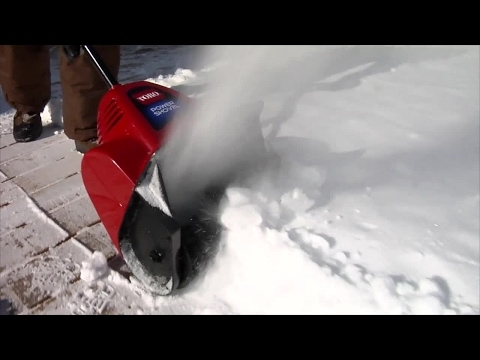 Put the snow exactly where you want it with the Quick Lever and Zip Deflector. Compact storage is easy with the folding handle.